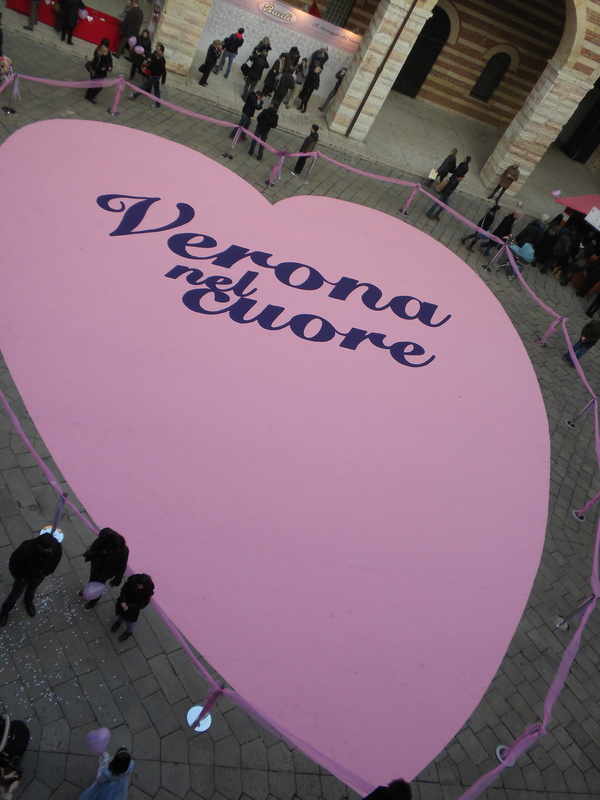 This Saturday, in honor of Valentines Day I went in celebration of romance to the city of Romeo and Juliet, fair Verona. One of the things I love most about this city is the way everything seems to revolve around love and romance. This is a pretty obscure reference which I do not expect anyone to remember… but about ten years ago Hallmark put out a mini-series called The Tenth Kingdom. In The Tenth Kingdom there is a town named Kissing Town, it is the place Snow White’s prince kissed her and brought her back to life. Modern day Kissing Town is full of hearts and little cupids and romance. I imagine when the writers of The Tenth Kingdom were imagining Kissing Town they were borrowing heavily from their trips to Verona. Shakespeare’s Romeo and Juliet borrows (along with other stories) a local legend of two dueling families in Verona, the Cappeletti and Montecchi. 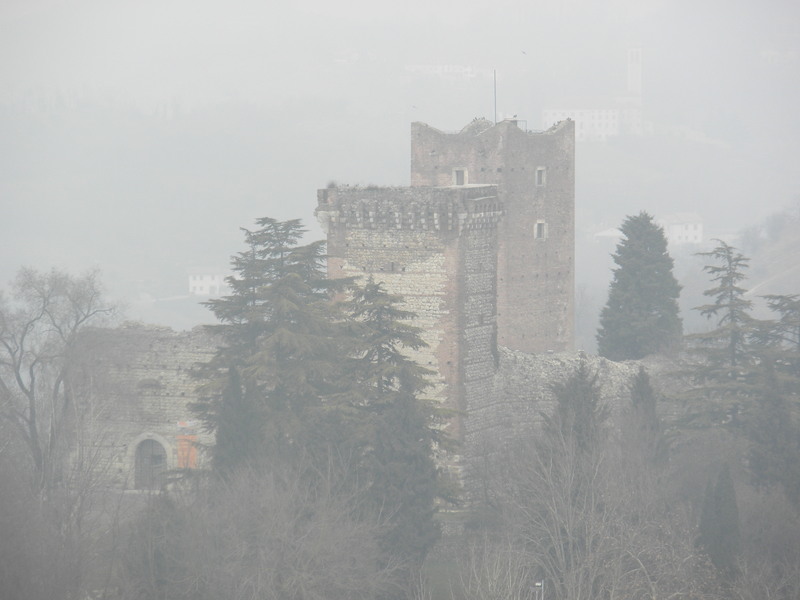 Ruins of small castles still stand on the outskirts of Verona, and legend has it that these neighboring castles were the homes of the Cappeletti and Montecchi families. We started with a trip to these castles, where modern day couples can get married right in the courtyard. It was a foggy day, which I think makes exploring ruins even better, a little element of mystery thrown in! 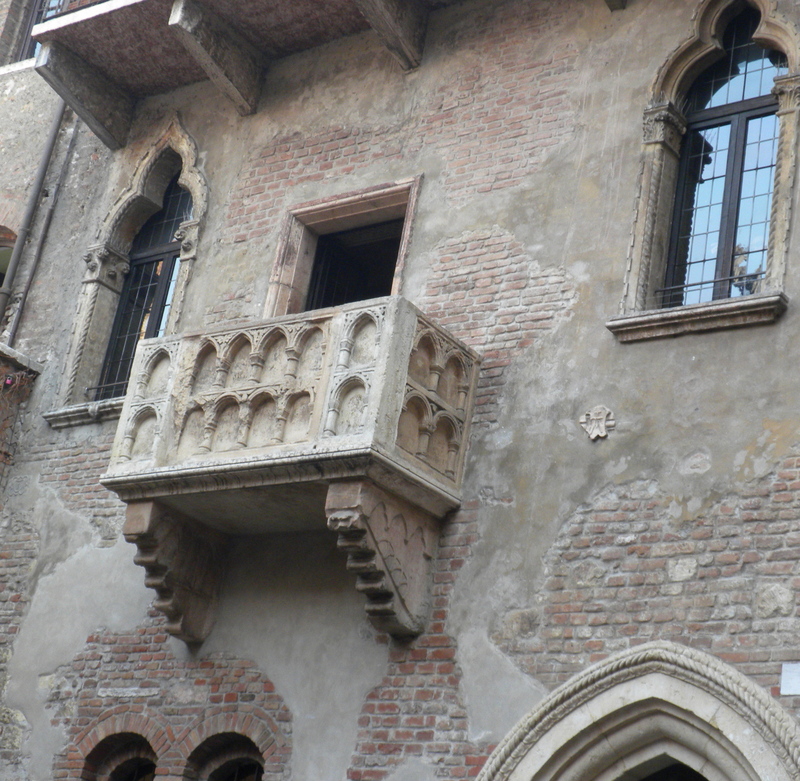 Juliet’s house in the city of Verona is a 14th century villa with a stone balcony overlooking a small square. This villa was once owned by the Capella family, the similarity of this name to the literary Capulets has made this balcony the symbolic home of Juliet. 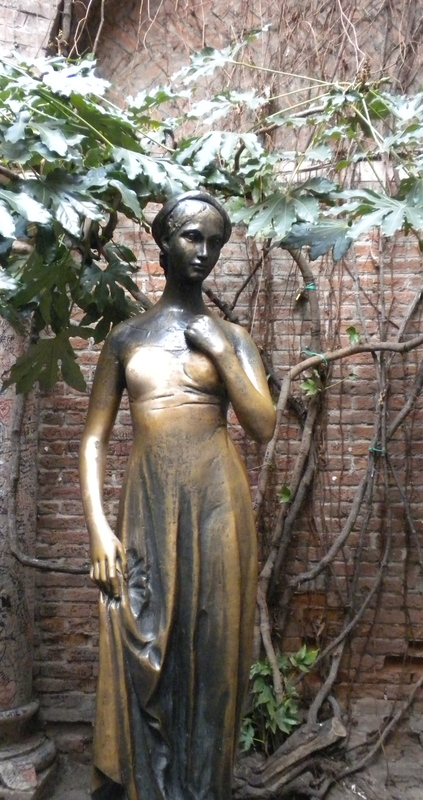 In the small courtyard stands a statue of Juliet. Her right breast is polished to a sheen by the constant rubbing of visitors hoping for a better love life. The courtyard was packed with tourists snapping pictures of each other rubbing the breast of Juliet and waving from her balcony, and of course all the english speaking tourists were talking about the movie Letters to Juliet, a very cute movie by the way, which I am watching for the third time tonight! 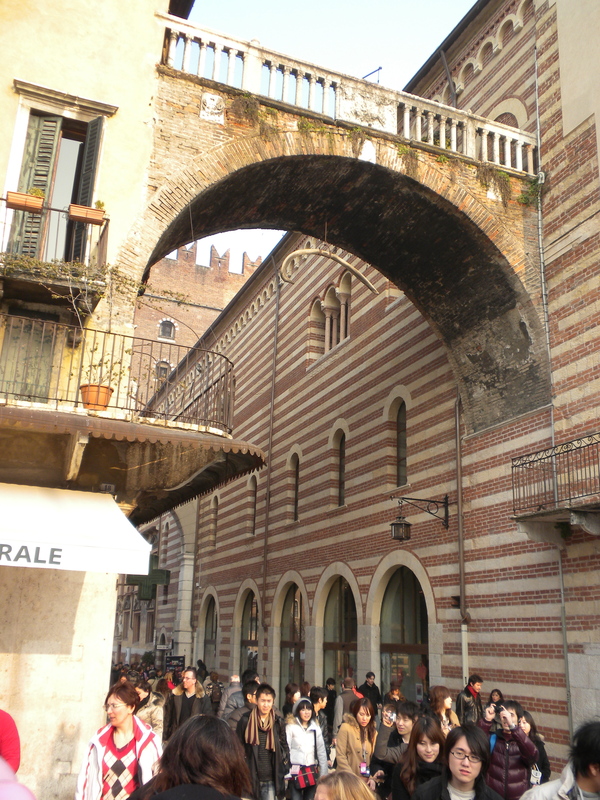 In the one of the main squares of Verona, Piazza Erbe (originally an ancient Roman forum), there is a whale bone hanging above a walkway. The whale bone has been hanging for 500 years, it will fall only if a man who has never told a lie walks under it. So far it looks pretty safe. Just under the whale bone there was a cluster of stands in a heart formation selling everything thing from local honey to beautiful works of art. 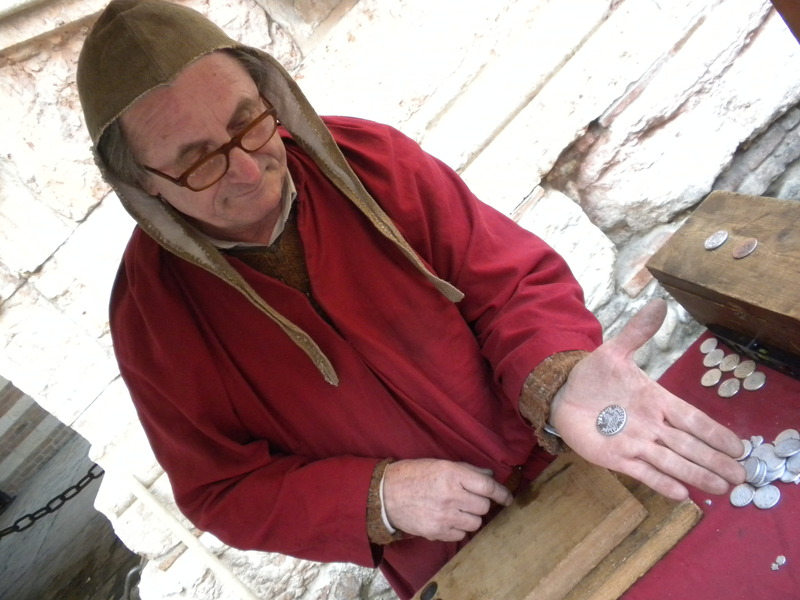 Off to the side there was a stand set up with men in medieval costumes stamping commemorative coins by hand. Of course I had to get one to remember this visit by! 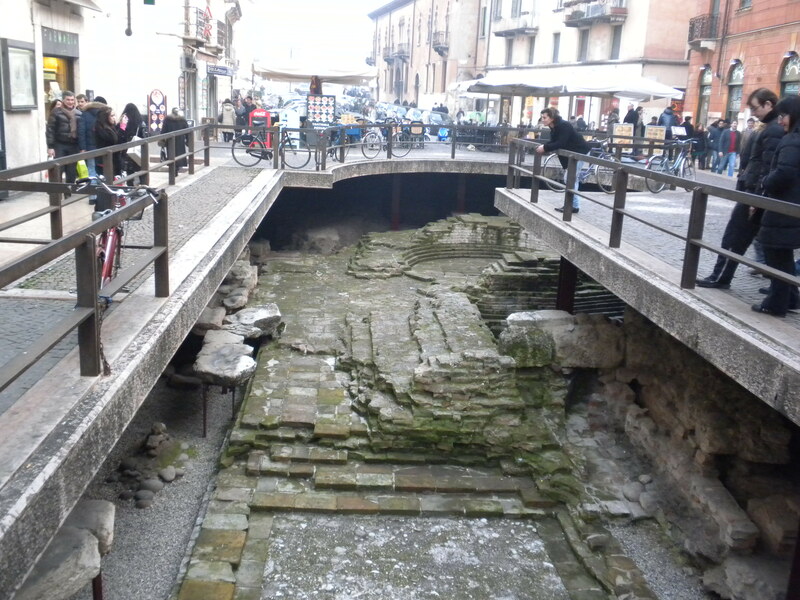 On the way out of the city we passed a section of street that was excavated, showing another road several feet below. This lower road is a section of the ancient Roman road leading into the city. I always find it fascinating that so many years of history lay beneath our feet! There are so many more things to see in Verona, like the ancient Colosseum, which is the third largest in the Roman world. One day is not nearly enough time to explore all of Verona so I plan to make another trip very soon, I just wish all of you could come with me! 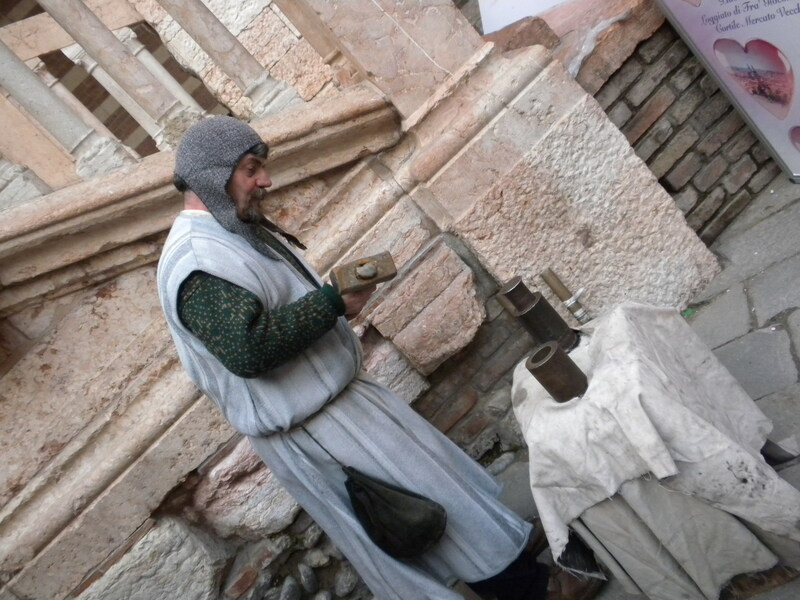 This entry was posted in Uncategorized and tagged Castles, Holidays, Italy, Travel, Valentines Day, Verona. Bookmark the permalink.